Wait! What? You don’t pay attention to your kids? Scandalous, right? Well, that’s not true. We give our kids lots and lots of attention. They’re awesome. But, where we ignore them is how it comes to our withholding. My W-2 indicates that we have just two allowances. My employer withholds as if it’s just my wife and I.
That’s the thing about withholding. You can put anything you want on your W-2. It doesn’t impact the tax you end up having to pay. All it does is change what your employer sets aside. At the end of the year, you’ll end up with the same amount of tax paid on your tax forms. So, our strategy basically means that my employer deducts tax as if it was just the two of us. If we included our kids in our withholding, each paycheck would have been bigger. And, my tax return would have been smaller. Most people claim the actual number of dependents they have on their W-2. We didn’t, and it helped us out when it comes to our refund amount. We did not have a smaller tax refund this year, largely by design. Up until this past year, we always itemized our deduction. 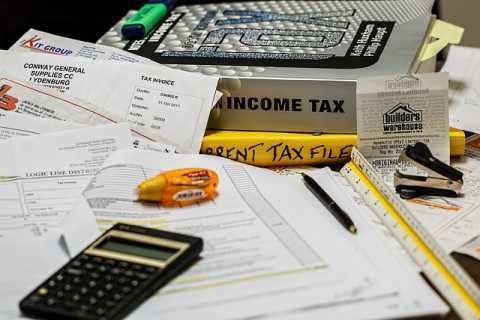 Between state tax, mortgage interest, property tax, and chartitable deductions, we always deducted a higher amount than the standard deduction. With the new tax law, the standard deduction basically doubled. No way would we have come anywhere near that amount. The standard deduction amount increased – Every year they had been raising the standard deduction amount by a few hundred bucks. Our deductions were shrinking. Our mortgage interest had declined as we’ve paid more and more of our loan. We’d actually been working to maximize our deductions by timing some payments. People who were claiming a few thousand dollars more than the standard deduction still no longer got to claim it. That has a meaningful impact. But, for us, who were only a thousand dollars or so over during the previous tax season, it didn’t hurt us. So, now that we’re one of the lucky people who aren’t seeing their refund shrink, the question is: What next? How are we spending it? We have our refund allocated to a few different categories. Some of these need little or no explanation. Couples Trip – My wife and I went to Cancun a couple of years ago. We’d like to go again soon while the kids are young and easier to watch. Clock Repair – I have an antique clock in need of repair. I have put this on the list for several years but it usually gets bumped. Hopefully I can get this repair done this year. Mower / Snowblower Maintenance – One or the other of these machines seems to need repair every year. That’s it. That’s how we plan to spend our money on our refund this year. Honestly, this is pretty similar to what we have allocated in the past. In fact, I have a spreadsheet with a ‘Tax Refund’ tab. Each year, I open it up and use previous budgets as the starting point for the allocations. I have to admit, even though it is a math challenged concept, I always enjoyed getting a large refund. We never spent it, just invested it, but it felt so much better than the few times we’ve had to write the IRS a check! I missed that about quarterly payments I now make on my part time self employed income. The “return” is just applied to the next quarterly payment so there is never an unexpected check. I am totally with you on the refund. Human psychology is sometimes underrated when it comes to personal finance and investing. The refund is forced savings and it definitely feels good to get one. Somehow I have a feeling that 99% of the folks who say “you are missing out on the interest” don’t actually bother transferring the paltry $5 a month to their savings/investment account anyway. But I get a small windfall in the spring and they don’t. I hope I don’t offend anyone with this analogy, but it actually reminds me of a few times when I sit next to someone in the cafeteria who’s eating some nasty “diet food” leftovers that taste like cardboard. Not sure if they are trying to save money or calories or both. Meanwhile, I pull out the tasty burrito I just picked up from Chipotle (while still managing to stay in shape, both physical and financial). I feel a little bad for them. That analogy cracks me up. And it makes me want to go to Chipotle. Actually, we prefer Qdoba nowadays so I’d probably go there for a tasty burrito. I’ve always looked at it that if your theoretical interest gain is $50 per year, then all it takes is one spend of $50 and you’ve erased all of your potential gains. Maybe back in the day when interest rates were a lot higher there was a case for it. I also suppose if you don’t use interest rates, but use stock market gains, you could have a case for it, but investing is risky in and of itself. I actually prefer owing taxes at the end of the year. This means I got some extra and had the chance to earn a bit of interest off of the money. However, it is always nice getting a fat and juicy refund when it comes! !